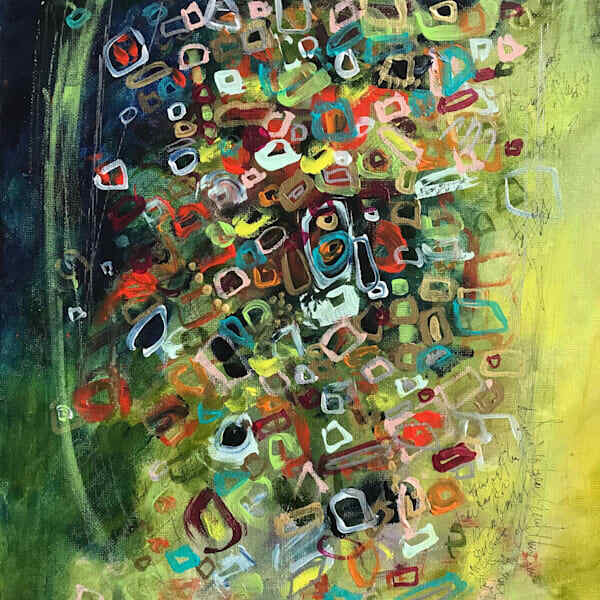 Darlene Watson produces colourful expressionistic abstracts in oil and acrylic, incorporating other mediums such as graphite. Watson works on paper and canvas in a loose style, exhibiting the freedom of her flowing images from thought to artwork. Her strokes are vivid and lively, definitely cheerful. Darlene is also known for her floral abstracts also vibrantly and playfully presented. I like the flexibility of sizing of Watson's works from small square canvases to large over-sized pieces, including diptychs and triptychs. I see some influence from Kandinsky and Klimt. Choose Darlene's artwork to add colour and positive energy to your space. 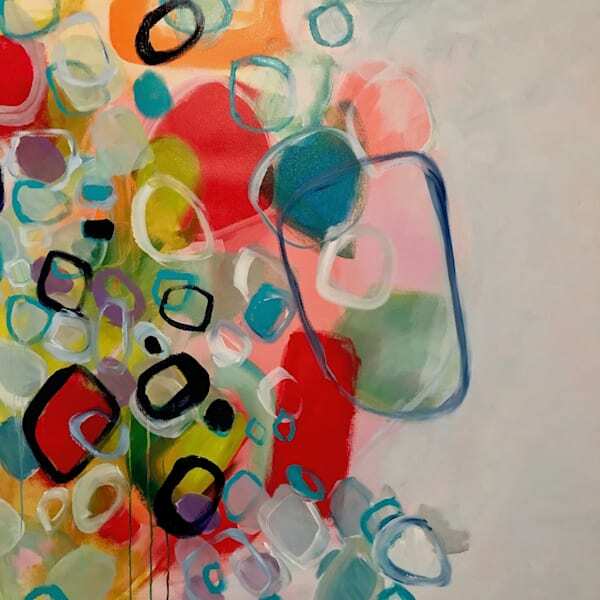 Darlene Watson is an International Abstract Expressionistic Artist that started her artistic career alongside her work in Interior Design and Decorating. 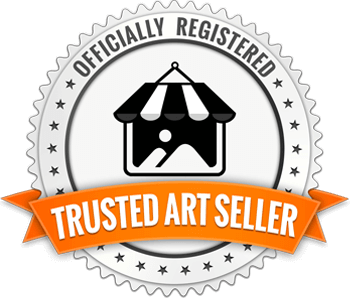 She assisted each client with placement, customized suggestions and groupings of their art. Watson especially enjoyed creating commissioned pieces for her clients' homes. She gave up her design consulting career to pursue full time her absolute love of painting. With a background in Interior Design, Watson works easily with collectors to create incredible commissions to ﬁt their desires and personality. Darlene draws from information she gathers from each collector to add something personal to their piece. 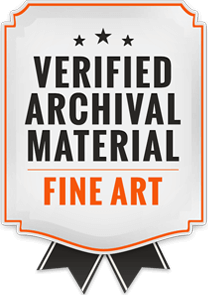 Her commission process involves sending sketches or ideas to the collector and confirms that they are on the same page with the vision. Darlene often uses studies to create something much larger for a client. 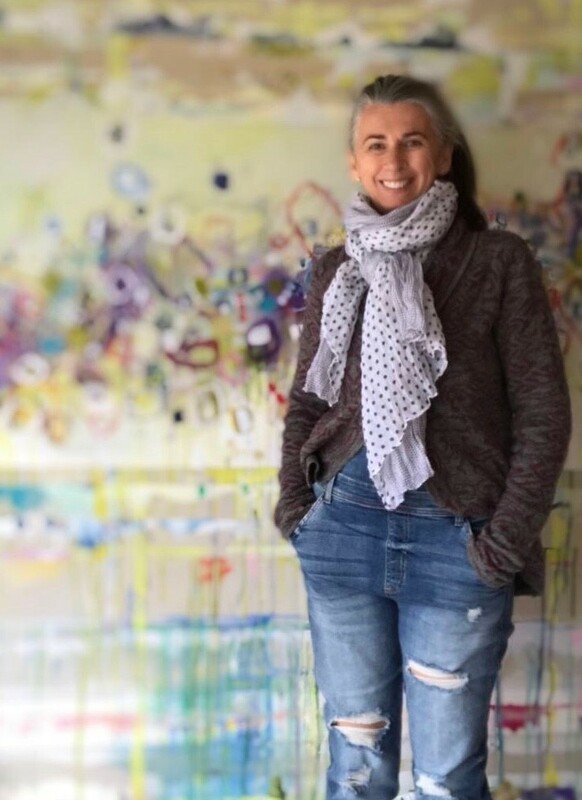 Watson paints from her heart and her home studio space in Southampton, Ontario, an area that is ﬁlled with natural vignettes, allowing her incredible imagination to run free. She draws from nature and puts her own spin on her works with shapes, colours, dripping paints and full expressive strokes of her paint brush or hands. Watson is truly an Intuitive Artist that paints freely and shares her soul in her art. This artist is either along the shoreline or in the trails in this incredible area gathering ideas and thoughts and saving colours and shapes for future paintings. 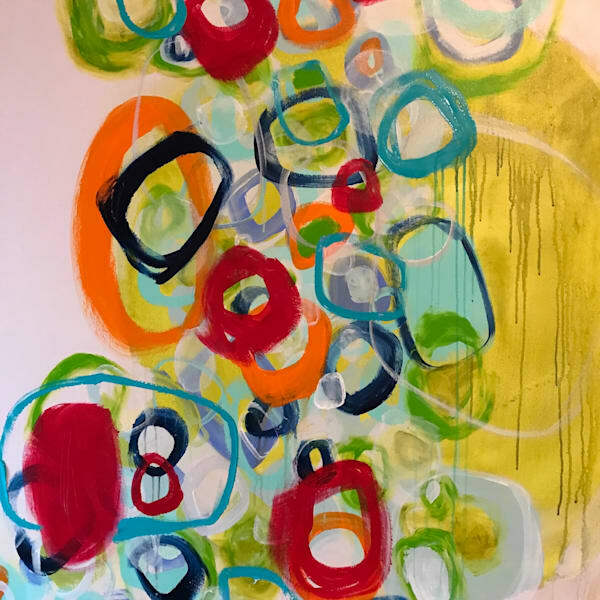 Her non-objective abstracts and ﬂorals can be found in both private and corporate collections around the world -- farthest distance being Australia and then next Kuwait. A few of her original pieces were selected by Weavers Art (a large carpet company) in Toronto, Ontario to be the inspiration for hand-knotted carpets produced by that company. Painting daily she always ﬁnds time to donate to causes, such as Habitat For Humanity, Cancer Research and Rotary International to name a few.